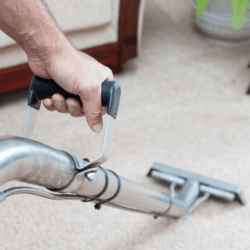 AAAClean is an established professional carpet cleaning company and experts in cleaning all types of carpets, rugs, upholstery and curtains found in domestic and commercial properties. Our cleaning operatives have many years’ of experience under their belts and the required skills to restore nylon, polyester, wool and olefin carpets, no matter how soiled and stained they are. We are definitely the right choice for high quality carpet cleaning Orlestone. To get the right results, our carpet cleaners Orlestone always use hot water extraction (HWE) machines and the very best cleaning solutions. HWE machines offer incredible cleaning results – other types of machines are not able to deep clean carpets to the base of the fibres – and very quick drying times, usually two to four hours’. You can in fact walk on your carpets immediately after they have been cleaned, with shoe covers that we provide for free. We are No.1 for Orlestone carpet cleaning because we have highly trained friendly cleaning operatives using the best equipment and products. Our cleaners will always clean your carpets in the right way, no matter the size of the job they are working on – they will never cut corners. They are also highly skilled at cleaning all types of rugs, upholstery and curtains. Look at our customer feedback and you will see that we deliver on our promises. For the very best in domestic and commercial carpet cleaning Orlestone, contact AAAClean on 0800 023 5205 for more information and to book an appointment. If you only require domestic carpet cleaning services, you can book online and pay now or later. Our cleaners can rejuvenate all types of carpets, rugs, upholstery and curtains and they will always be the right choice for anyone who wants first-class customer service and incredible cleaning results.